I feel better when I take Ecomer/Shark Liver Oil-Alkylglycerols. 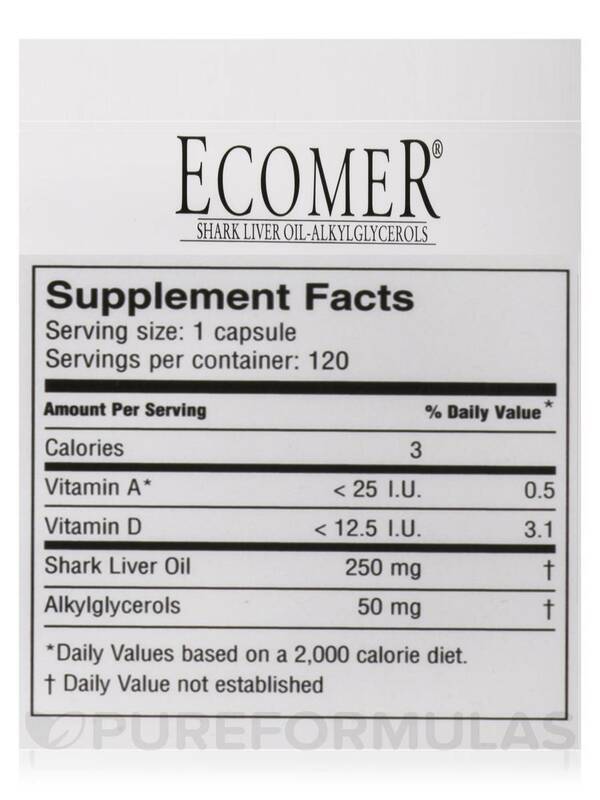 Ecomer/Shark Liver Oil by American Nutriceuticals is a very good product!!! I love the results, I feel with Ecomer/Shark Liver Oil by American Nutriceuticals. It almost seems like you can’t turn on the news without hearing about the outbreak of a new disease or illness. With the discovery of illnesses like swine flu and the resurgence of the West Nile virus‚ you may be looking for ways to keep yourself healthy by giving your immune system a boost. Making sure that you stay healthy through eating a well-balanced diet and physical activity is one of the best ways to keep your immune system in shape. However‚ many people today are simply too busy to find the time to exercise and eat properly. If this sounds like you‚ you may want to consider taking a shark liver oil supplement. Shark liver oil has one of the highest concentrations of vitamin A of any substance available‚ making it a powerful line of defense in the fight against illness. Vitamin A is essential for your body to produce new cells‚ making shark liver oil extremely helpful in strengthening your immune system. The boost in cell creation that shark liver oil provides may also help your wounds heal more quickly. Shark liver oil is also a great source of alkylglycerols‚ which can have disease-fighting effects; it also contains squalamine. 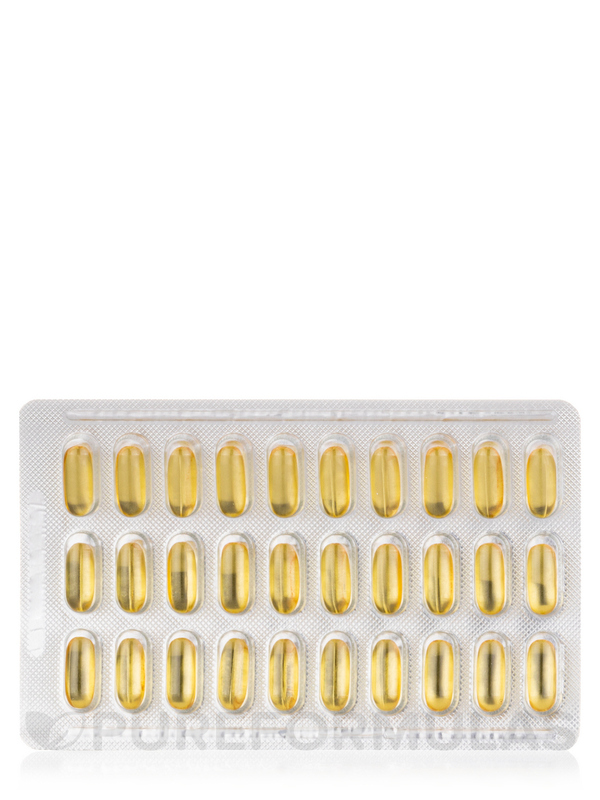 Every capsule contains 250 mg of shark liver oil‚ 50 mg of which is pure disease-fighting alkylglycerols. This oil is commonly used in Northern Europe. 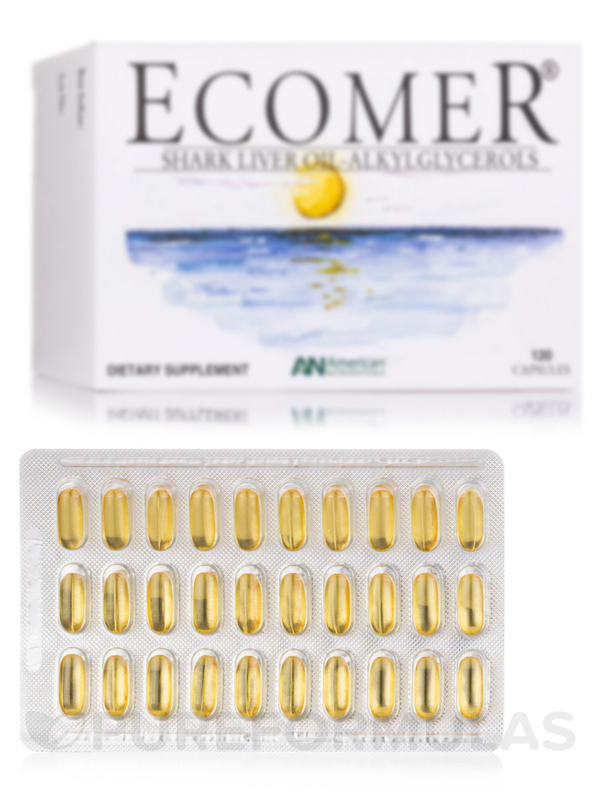 One box of American Nutriceuticals’ Ecomer Shark Liver Oil should last you a month or longer if you take one capsule‚ two to three times daily. It’s recommended that you take shark liver oil on an empty stomach. American Nutraceuticals manufactures unique nutritional supplements to support your immune system. Its high-quality products also promote detoxification. 1-2 capsules‚ 2-3 times a day on an empty stomach. Keep all supplements out of reach of children. 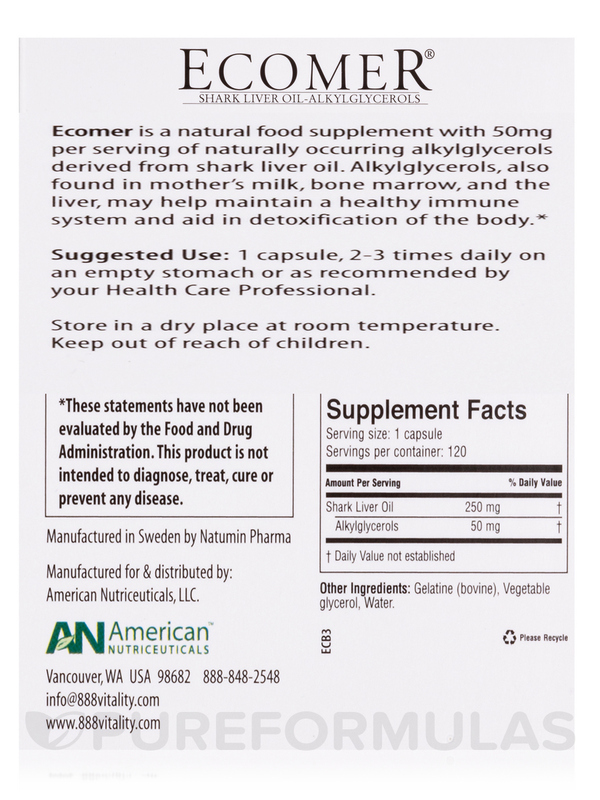 Ecomer/Shark Liver Oil Alkyglycerols by American Nutriceuticals is very pleasant and effective. Great for my immune health and much more! I've been taking Ecomer/Shark Liver Oil - Alkylglycerols by American Nutriceuticals for over ten years and it's been great. It was recommended by a doctor in Europe as an immunity booster. I have only had one chest cold in the last ten years! It's too early to talk about any effects since I've only been taking Ecomer/Shark Liver Oil Alkylglycerols by American Nutriceuticals for a couple of weeks, but so far, as expected, no side effects. I've heard a lot of good things about it so I'll be ordering more soon. The shipping is very fast. I have takenEcomer/Shark Liver Oil-Alkylglycerols by American Nutriceuticals upon the recommendation of my integrative MD. 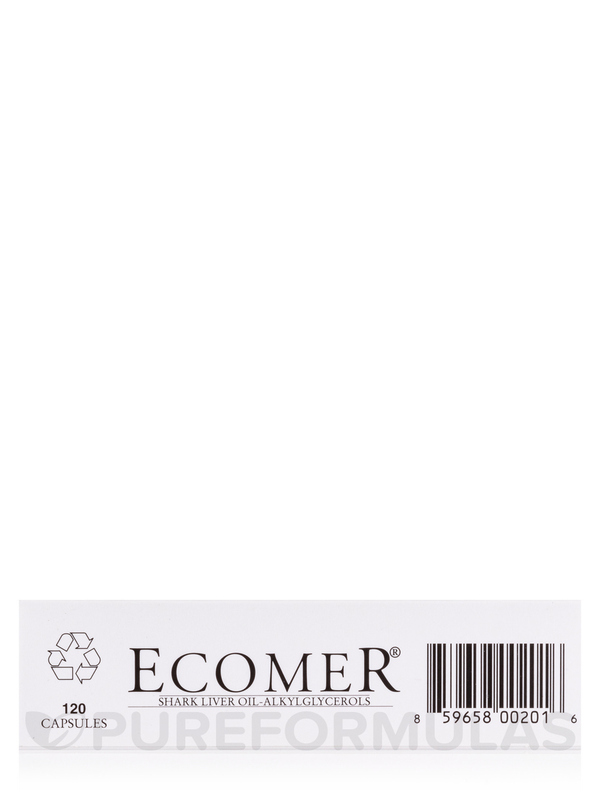 Besides being an excellent "clean" product, the blister packaging makes it easy to pack for travelling while keeping the individual soft gels fresh. 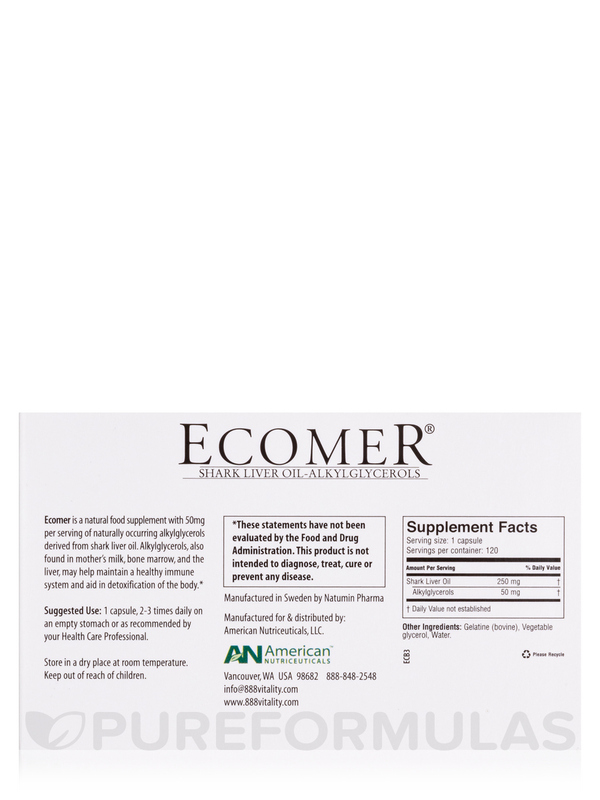 Ecomer/Shark Liver Oil by American Nutriceuticals is great! Taken immediately and correctly it gives you just enough of an immune boost to kick whatever's creeping up on you. A good friend of mine swears by this. I had an awful sore throat one evening and she gave me 6 gel tabs instructing me to take 2 or 3 a day. I did as she said and the sore throat was gone the very next morning and I was 100% by the following day. And no side effects! As I said, totally worth it! My alternative medicine doctor recommended Ecomer/Shark Liver Oil-Alkylglycerols along with other supplements when I was diagnosed with cancer and was going through chemotherapy. I have taken Ecomer/Shark Liver Oil-Alkylglycerols for about 3 years now and I am still here to talk about it. It is easy to take and digests well. Whatever it is doing for me seems to be working. 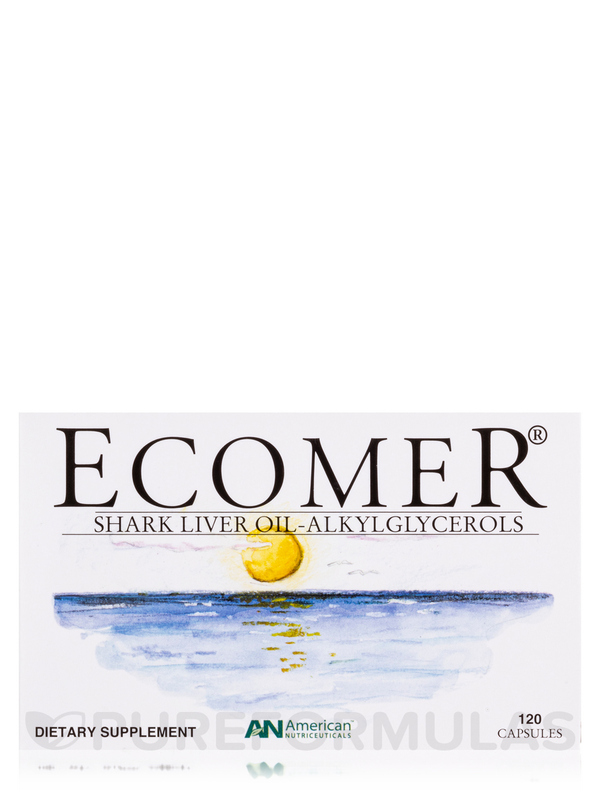 Ecomer/Shark Liver Oil-Alkylglycerols is recommended by my naturopathic doctor since Im allergic to a lot of fish oils. PureFormulas consistently has the best price. 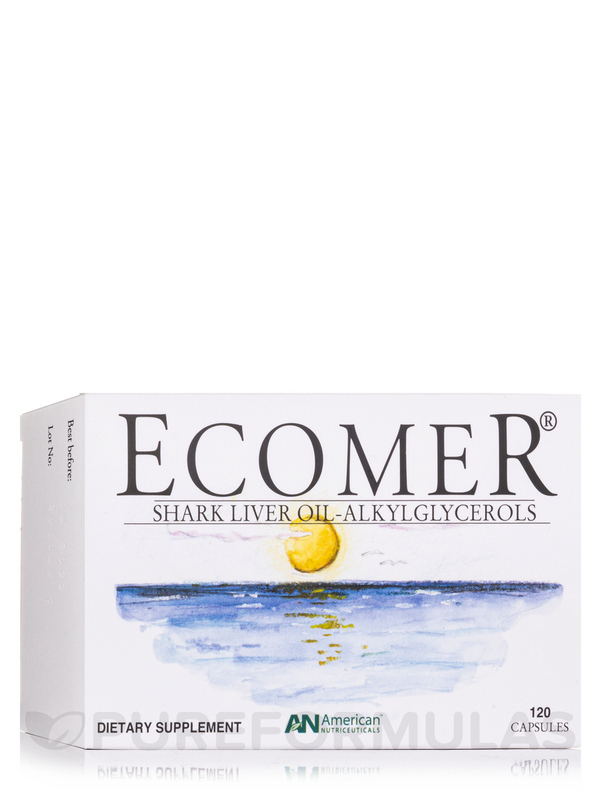 Ecomer/Shark Liver Oil-Alkylglycerols was recommended by my doctor It works well. I have been taking it for a number of years. Do you not sent to Taiwan? Hi Zong-You, thank you for contacting PureFormulas. We do ship internationally, however, there are products that we carry that are not available for export out of the United States. For future reference, if the product can ship to the respective country, then it will show up as an option on the shipping page of the site.